Southfield Estates Manalapan condos for sale. Looking for other condos in Manalapan ? Southfield Estates is located in the southern end of Manalapan. It’s within walking distance to Route 9 on Craig Road. In addition, shopping and transportation are nearby. In 1990, 206 townhomes were built in Southfield Estates. The homes have either two or three bedrooms. Also there is a fireplace and a one or two car garage. As a matter of fact, these homes range in size from over 1500 square feet to over 2000 square feet of living space. These homes in Southfield Estates Manalapan were built in the late 1980’s to the early 1990’s. There is a homeowners association, with a monthly fee. Lawn maintenance and snow removal are provided by the association in addition to common area maintenance. However, this community does not have a swimming pool. In addition, your pets are welcome in Southfield Estates. Because FHA financing is not approved in Southfield Estates, purchasing a home with an FHA loan is not possible.. However, there are other alternatives that will allow you to purchase with a low down payment. If you call us at 732-598-7700 we can discuss this further. Southfield Estates Manalapan is located close to shopping, dining and transportation. Commuters will love living here because of the location. It is within walking distance to bus service to New York. 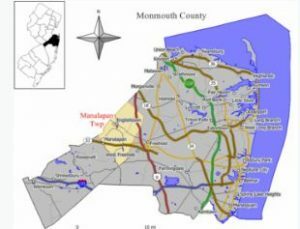 The Manalapan Englishtown Regional School District will educate the children in grades kindergarten through eight grades. When students enter high school they will attend Manalapan High School. This is part of the Freehold Regional High School District. Manalapan High School is one of six schools in the Freehold Regional High School District. Furthermore, each school offers different specialized courses. Talented and motivated students may apply to attend any of these schools. However, there is a competitive application process.